The lower house of the Michigan state legislature has passed a bill opening the doors to legalized online gambling and sports betting in the state of 9.9 million people. In a 68-40 vote, the Michigan House passed a bill that would allow online gambling and sports betting that included an 8% tax on total wagers minus winnings paid, far less than the 19% tax currently placed on the three land-based casinos operating in Detroit today. Detroit’s three existing casinos would need to apply for a license to engage in online gambling and the state’s 23 existing Indian casinos would need to reach a special agreement with the state to be able to offer online gambling and legal sports betting to their customer base. In light of the recent U.S. Supreme Court ruling in the case of Christi vs NCAA that overturned the Professional and Amateur Sports Protection Act, states across the US are now free to write their own laws and regulations when it comes to legal sports betting. The Michigan Gaming Control Board now believes it has the legal authority to authorize sports betting in the Great Lakes State but for the sake of legal certainty has preferred that the legislature make the first moves. The bill, which lays out the tax rate for online gambling and legal sports betting is the first move, said Representative Iden. The spokeswoman for the Michigan Gambling Control Board, Mary Kay Bean, has told reporters that the board is actively reviewing the recent House legislation. 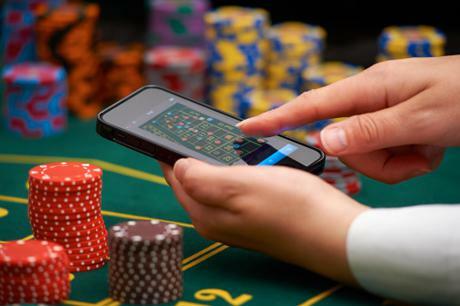 The nonpartisan House Fiscal Agency has prepared an analysis of the new bill and concluded that overall both state and local governments would collect less tax revenue from gambling as a result of operators incentivizing online gambling over their existing brick and mortar activities thanks to the lower tax rate. Whether this would have a negative impact in total on the state’s coffers depends on whether legalized online gambling will have a “substitution, neutral or simulative effect” on overall gambling activity, wrote the report’s authors. The report also concluded that revenue from the statewide lottery would also likely decline as state residents moved away from the iLottery system to other forms of online gaming. While the report did not look into the possible effects of legalized sports betting on state tax revenues, Americans currently wager over $150 billion illegally each year on sports. The American Gaming Association has stated that the state of Michigan could see as much as a $23 million tax revenue gain if the state moves forward with legalized sports betting. Dan Reinhard, senior vice president of government relations and general counsel for jack Entertainment, the owners of Greektown Casino in Detroit, welcomed the lower House passage of the bill, adding that the new legislation “allows Detroit casinos to offer innovative products to the marketplace which is demanding that we do so,” as reported by Macomb Daily News. Local Indian tribes, however, continue to have some reservations. 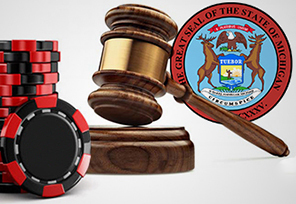 Iden said that he believed the tribes got 90% of what they wanted with the new legislation but remained concerned about a provision that would allow the state’s exiting licensed casinos to continue to operate online games even if the federal government rules that Indian casinos must restrict all gambling activities to tribal lands. Next articleWhat the U.S. Can Learn About Legalized Sports Betting from the U.K.